Yes,You can use your Android as webcam even without WiFi(nice?). All you need to do is just to enable the USB debugging mode on your Android smartphone. Let’s Go. 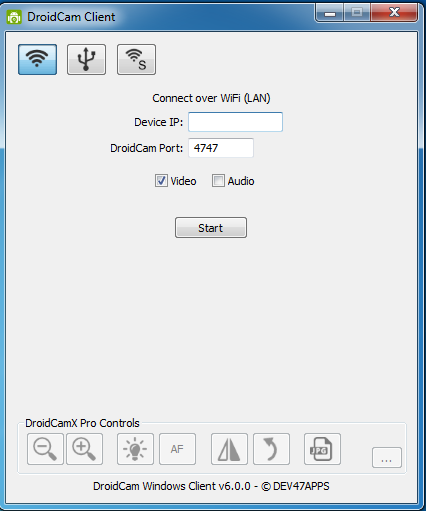 *Step 2.Now you need to download and install DroidCamfrom Google Play store on your Android device. *Step 5.After installing the client, you will get to see the screen like below. *Step 6.Now simply select the “USB” icon just behind the Wifi in your windows client and then click on “Start”. That’s it ! If everything went right, you will get to see the camera of your Android device on your PC and you can use it as a webcam.